Faye MacCalman’s measured, low register tenor playing suggested late period Trane. The set list referenced Ornette and Sun Ra via Bird, Oliver Nelson and Mingus. John Pope has his ear to the ground – not literally, at least not during gigs – and seized the opportunity to work with MacCalman having heard her perform as a music student. A contingent of Newcastle University students turned-out at the Jazz Café to show their support, for the most part resisting the temptation to play with their wye aye phones – other than to briefly capture the moment. And there were moments – Stolen Moments being an example. Stormy Weather (squall as opposed to tempest) and Wayne Shorter (Juju) led to the set-closer, Anthropology (Honest John Pope said they wouldn’t go at breakneck pace and they didn’t). The second set opened in top gear – Cherokee went ‘whoosh’ as JP’s solo disappeared into the distance. Impressive. MacCalman’s tenor impressed on Monk’s Bye-Ya. JP’s cross-town gig beckoned (£££). MacCalman and Pope said: Goodbye, Pork Pie Hat. 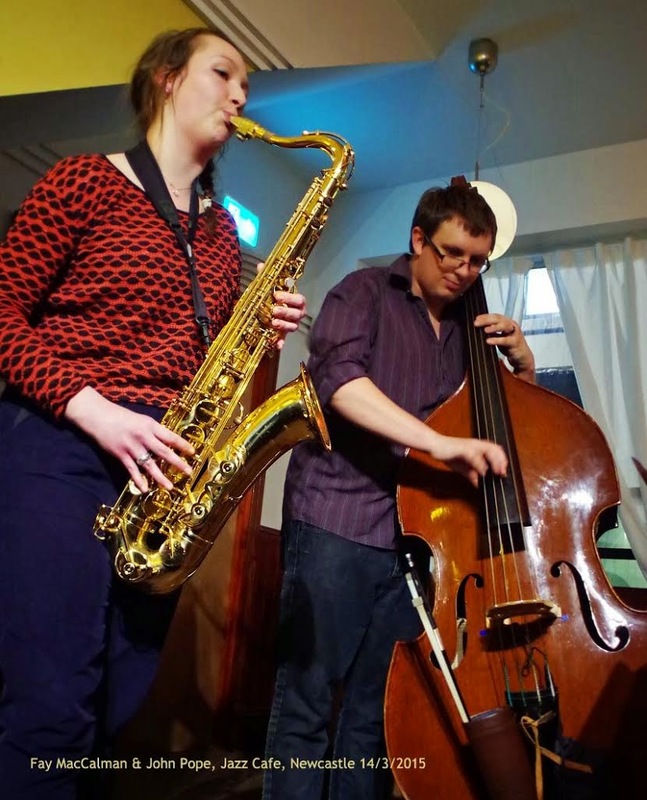 Faye MacCalman returns to the Jazz Café with her quartet on May 21 in support to the free jazz duo of Sarah Gail Brand and Mark Sanders.